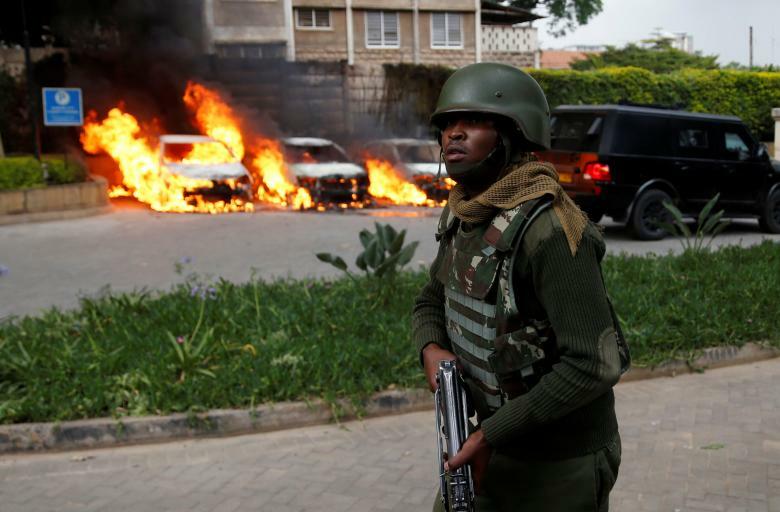 Gunmen kill 15 in Kenya hotel compound, gunfire still being heard - SABC News - Breaking news, special reports, world, business, sport coverage of all South African current events. Africa's news leader. Gunmen blasted their way into a hotel and office complex in the Kenyan capital on Tuesday, killing at least 15 people and sending workers diving under desks to escape an attack claimed by Somalia-based militant group al Shabaab. The shots rang out at around 3:30 am local time as a group of around 150 workers was escorted from a building where they had sought refuge. Many more remained inside and some needed first aid for gunshot wounds, a first responder told Reuters. By 1 am local time, 15 bodies had arrived at Chiromo Mortuary and more were expected, an attendant told Reuters. Nairobi is a major hub for expatriates and the compound targeted contained offices of various international companies, in an echo of a deadly 2013 assault on a Nairobi shopping center in the same neighbourhood. Surveillance video showed three attackers dressed in black running across the parking lot at 3:30 pm shortly followed by a fourth. At least two of the men were wearing green scarves in the close-up footage. One appeared to be wearing a green belt with grenades on it. There’s a grenade in the bathroom,” one officer yelled as police rushed out from one building. Al Shabaab, which wants to overthrow the weak, United Nations-backed Somali government quickly said it was responsible. This entry was posted on 16 Jan 2019,07:31AM at 7:31 AM and is filed under Africa. You can follow any responses to this entry through the RSS 2.0 feed. Both comments and pings are currently closed.